Volkswagen will enter a factory-developed racing version of the new Volkswagen Scirocco in the upcoming NÃ¼rburgring 24 Hours race to be held from May 24 to 25 2008. 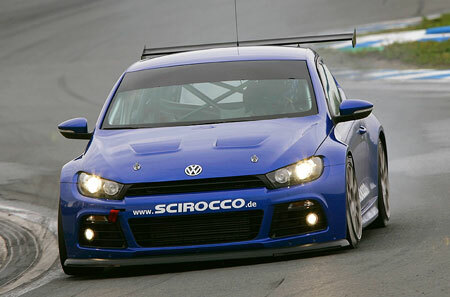 The racing-tuned Volkswagen Scirocco will feature the 2.0 litre TFSI engine tuned up to produce 300 PS, and will be mated to a direct-shift transmission based on DSG. “The racing version of the Scirocco was developed and prepared by our technical staff in record time and we are well on schedule now that we have successfully completed this first endurance test (at the Oschersleben motorsport arena). The NÃ¼rburgring 24 Hours is the ideal platform to showcase the performance capabilities of this exciting coupe,” said Volkswagen Motorsport Director Kris Nissen. 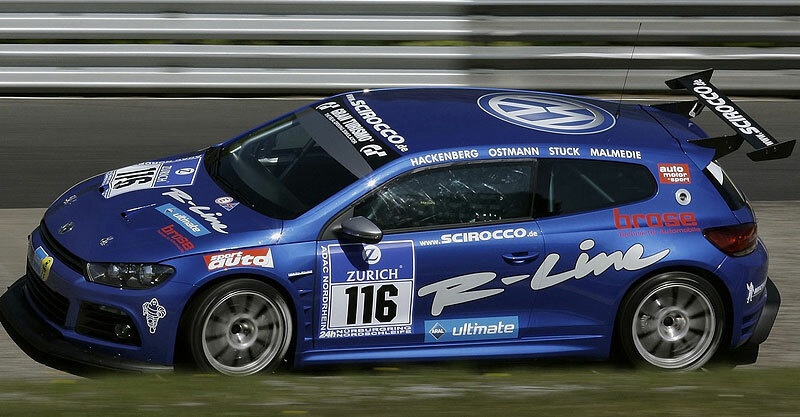 The Nurburgring 24 Hours is officially called the ADAC 24h Rennen NÃ¼rburgring, introduced by ADAC as a low cost alternative to the 1000 km NÃ¼rburgring aimed mainly towards amateur drivers and relatively cheap production cars.